Nominated for Best New Course in 1991 by Golf Digest, Indigo Creek is an exciting course with an significant number of doglegs, bunkers and water. 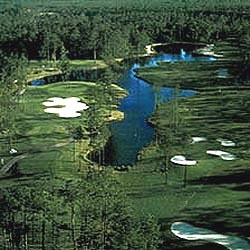 The back nine is set among giant oaks and gently flowing creeks. Very conveniently located in South Myrtle Beach, Indigo Creek Golf Club is set in the very heart of the Grand Strand's "low country" plantation area.